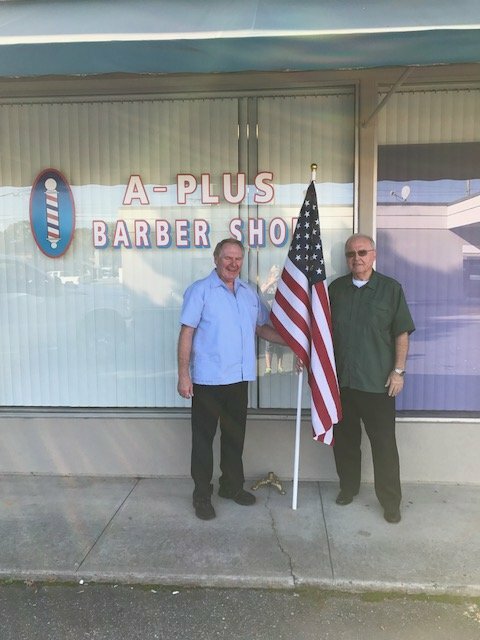 Jimmy Martin, owner of A-Plus Barber Shop, donated a flag in honor of Sheriff Mike Brown’s military and law enforcement service to the Field of Honor event held in Lynchburg in September 2018. This event was coordinated by the Rotary Club of Forest which arranged over 500 U.S. flags to honor Police, First Responders, EMTs, Firefighters, Active Duty Military and Veterans. These flags were proudly displayed on the lawn of Automated Conveyor Systems (ACS) located on Graves Mill Road. Each flag was sponsored by area businesses and individuals to honor their chosen first responders.